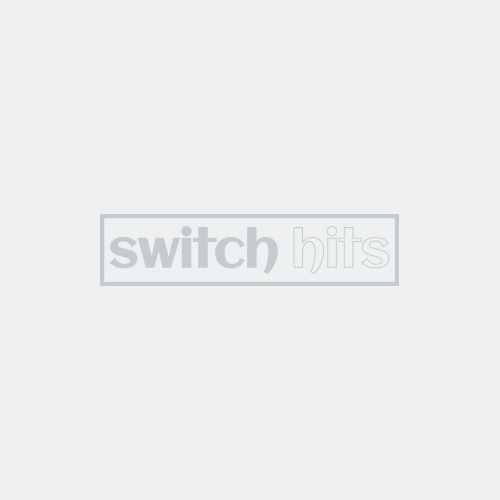 Same day shipping on Ribbon Noce light switch plates and outlet covers at Switch Hits. Add style to your walls by shopping from our vast selection of GFI Rockertive wallplates for toggle switches, rockers, and GFCI socket plugs. Glazed ceramic light switch plates. Coordinating nylon screws are included. Clean Ribbon Noce light switch plates with mild soap and warm water. Do Not use abrasives. Usually Ships: within 24 hours. 5 w" x 5 h"
#1 Ribbon Noce Wall Plate & Outlet Cover vendor. Widest selection in stock. Immediate & Free Shipping. 5,000+ Reviews.